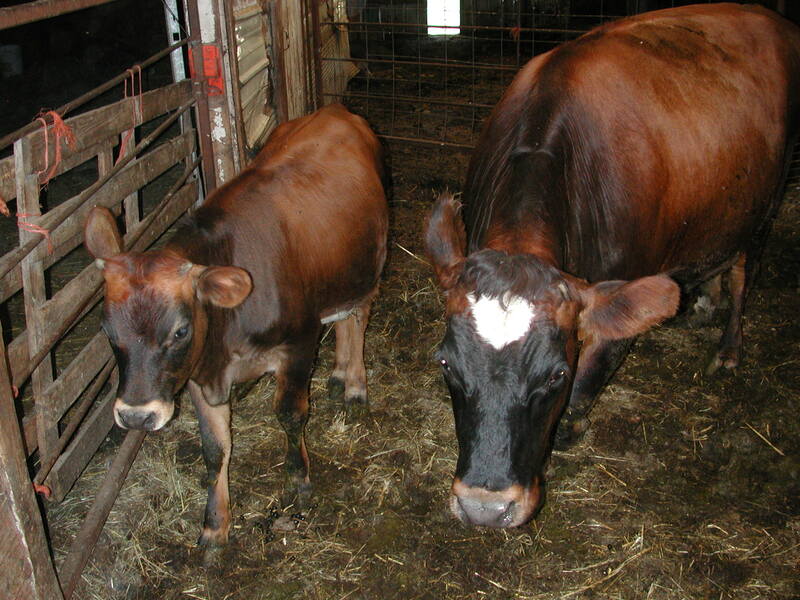 Milk cow Bonniebell and her calf Bridget. Buff Orpington hens hiding out! Some ewes graze beneath an apple tree.